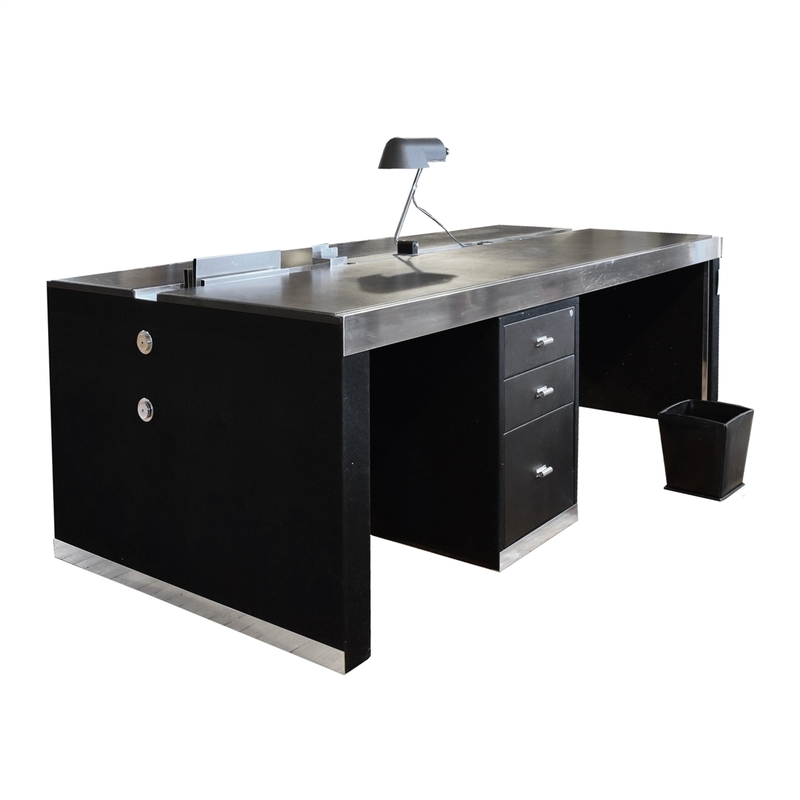 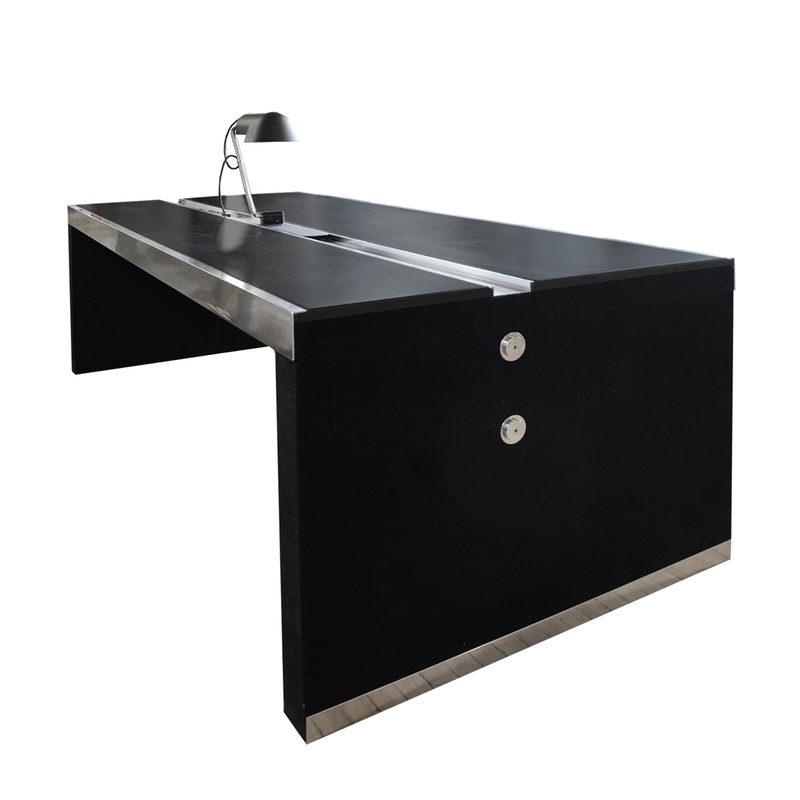 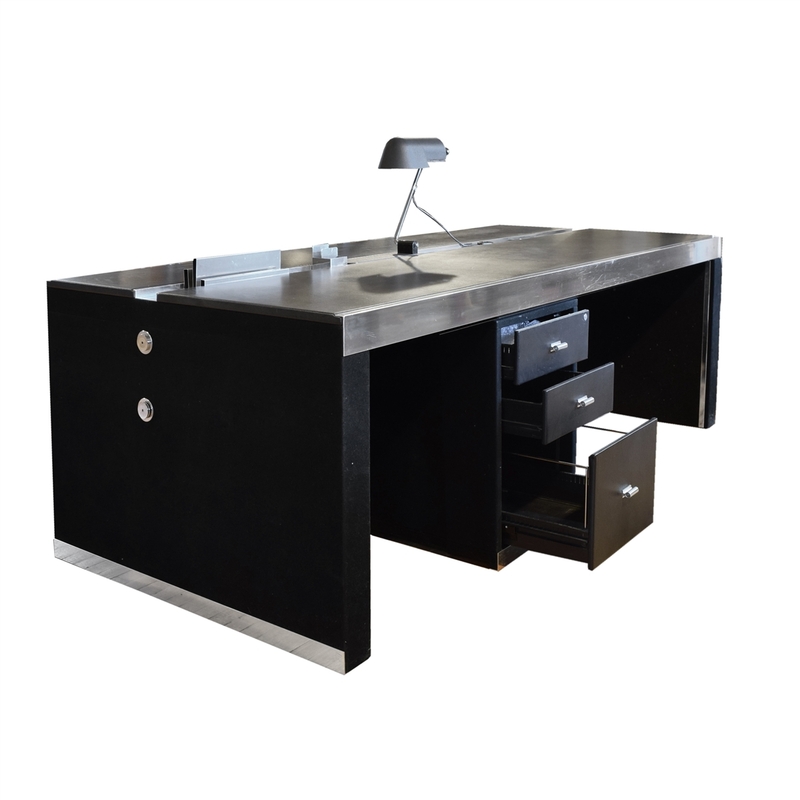 An Italian Mid-Century executive desk with a leather top and chrome accents. 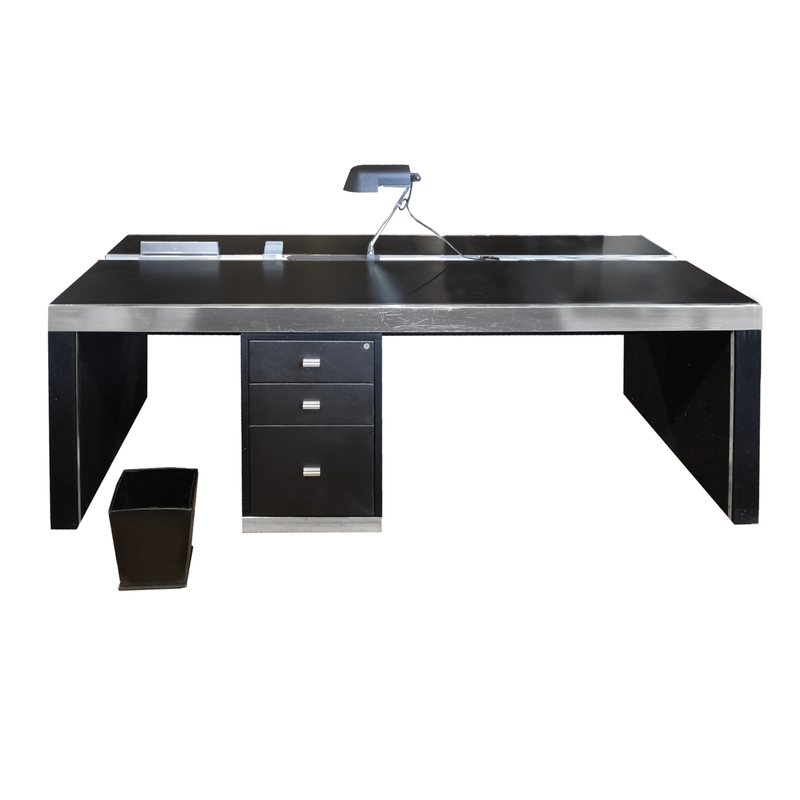 This desk features a lamp and file sorter that slide within a unique recessed channel. 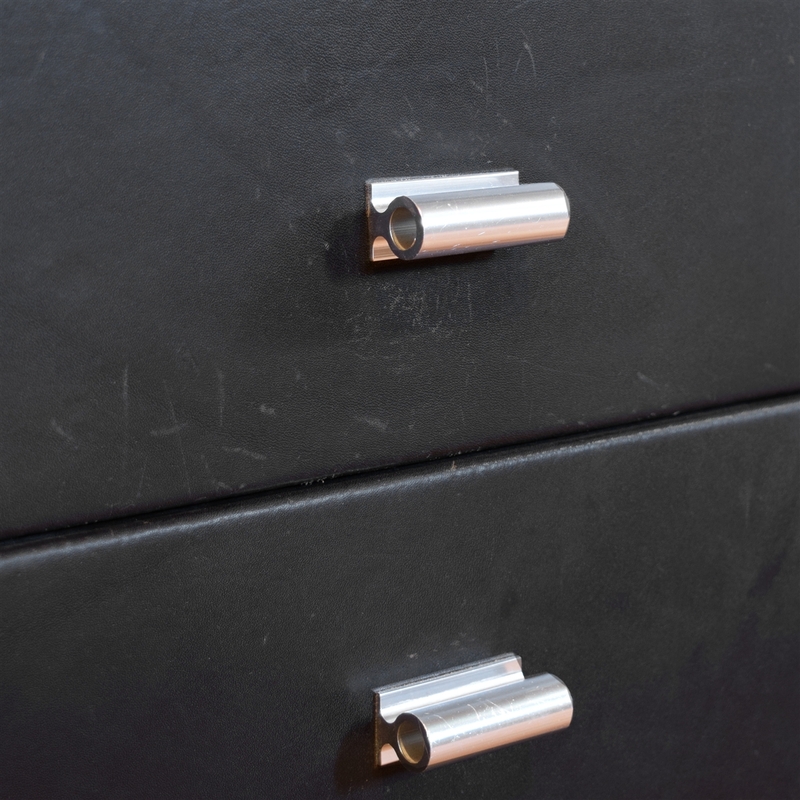 A three drawer filing cabinet and waste basket also included. 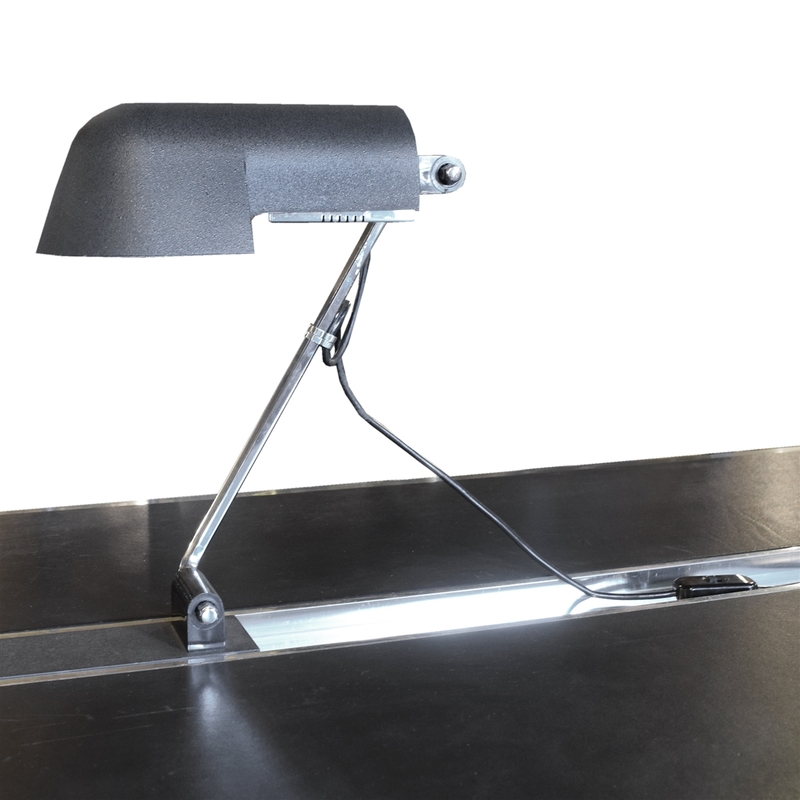 Lamp is wired for European current.